Glitter Girlz Make Over parties add glitter, excitement, sparkle and fun to a party. 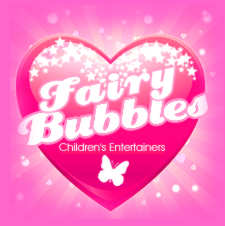 Available for ages 6-12 Fairy's Glitter Girlz get the chance to dress up, have their hair done with sparkle nail art and make up. The girls can choose from a range of popular celebrities and pop star looks. With lots of accessories, hats, sunglasses and of course shoes! - its all rounded off with Music, Dancing, Party games and a catwalk show. All cosmetics are hypo-allergenic and age appropriate.